Clothing is a solution devised by early human beings to protect their vulnerable naked bodies from the harsh environmental conditions. Over the years, with altering beliefs and customs, clothing style especially of women has seen radical changes. Read on to know about the evolution of women’s clothing in India. Saree is the traditional female garment in Indian sub-continent. A sari consists of a blouse and a skirt over which a loose unstitched cloth of about 9 meters long is draped in various styles. It is a traditional south Indian dress worn especially in Karnataka, Andhra Pradesh, Telangana, Tamil Nadu and some parts of Kerala. A Langa voni is similar to the sari, the only difference is that in Langa voni the unstitched cloth is shorter. Salwar kameez or salwar kameez is a three-piece garment mostly worn by women in North of India, Punjab, Haryana and Himachal Pradesh. It consists of a loose pant, kurta (long top) and a dupatta (scarf). A salwar kameez is of two types. Includes a kurta, a pant that is loose up to knees and tight around the calf and a scarf. Named after the court dancer from Lahore. 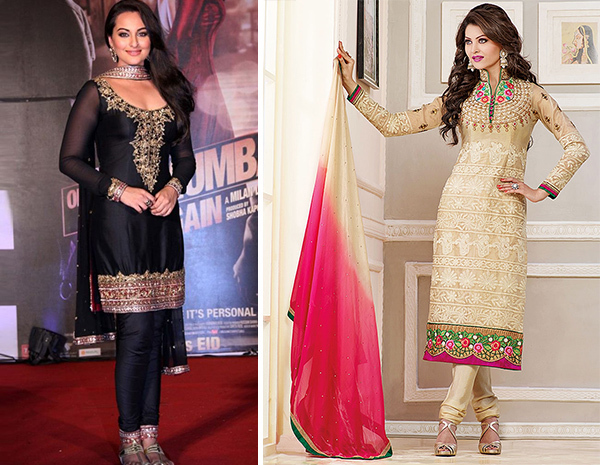 An Anarkali consists of a long frock shaped top and a slimly fitted pant. 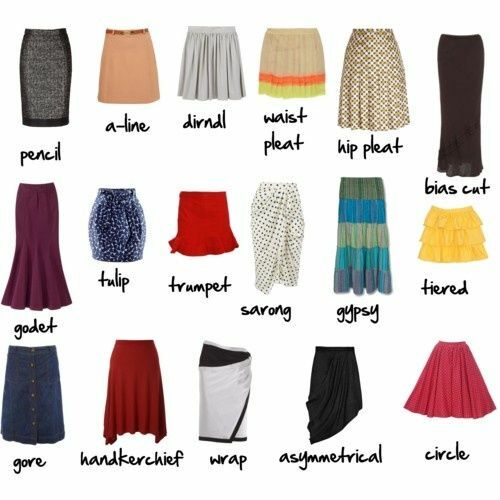 A skirt is a lower part of a dress that covers the body from the waist downwards. Though the western world is acquainted with skirts for a long time, it was not until many years later that women in India got accustomed to it. A number of models came into existence like A-line skirt, bell-shaped skirt, divided skirt, short and long skirts etcetera, in many fades and fashions. 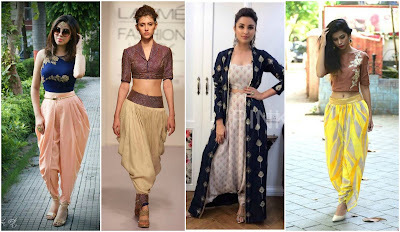 Indo-western wear also called fusion wear was established as a part of Indian fashion by the first decade of 21st century. It is called as the fusion wear as it is a combination of Indian and western styles. It includes tops with short or no sleeves or sleeves with spaghetti straps, cold shoulder tops, tank tops, plunging necklines and shorter salwar etc. The term retro fashion/vintage fashion refers to the new clothing that is designed to resemble the clothing that is at least 13 years old or older. 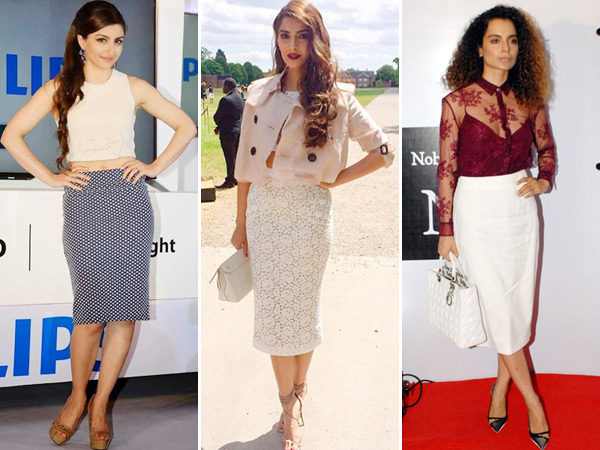 Retro fashion along with fusion wear is the on-going trend in India. This shows how apt the idiom ‘what goes around comes around' is to the textile industry in India.